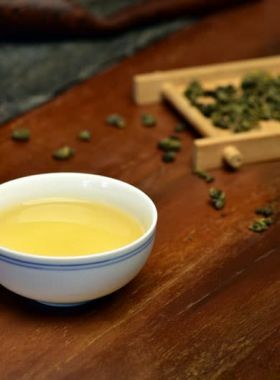 In Chinese, gunpowder tea is called “zhu cha” (珠茶), and is named as such because its rolled, pellet-like appearance is somewhat similar to gunpowder. 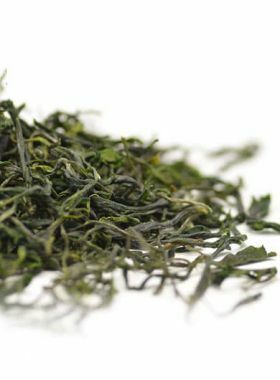 Gunpowder green tea is traditionally created by picking high-grade leaves from the tea trees, and then is processed by first withering and steaming the leaves and then hand-rolling them into small pellet shapes to prepare for drying. Because the whole leaf is used in processing, when brewed the pellets unfurl and the leaves dance in the brewing tea, a pale yellow color with a vaguely smoky, floral aroma. Mr. Lin has been a professional tea farmer for over forty years, born into a traditional tea-growing family that influenced and inspired him to build his own tea factory. 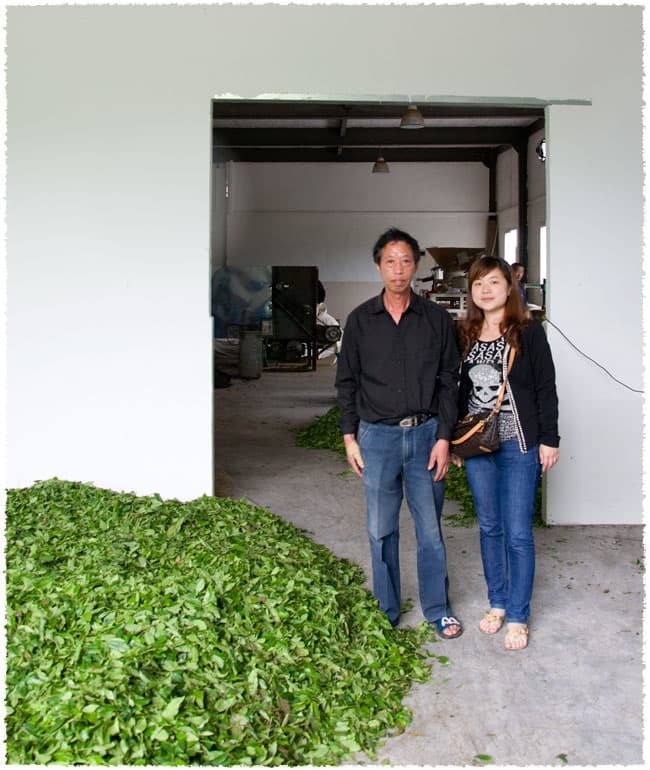 With the gradual growth of this factory, he continually seeks a common development and relationship between the enterprise and the tea farmers themselves. He thinks that the most adverse factor is the weather: if the leaves suffer under bad weather, the yield is reduced and the quality would not reach the standard. His experience has taught him of a few ways to combat this, though, such as covering the leaves with straw during cold weather to prevent them from frosting. 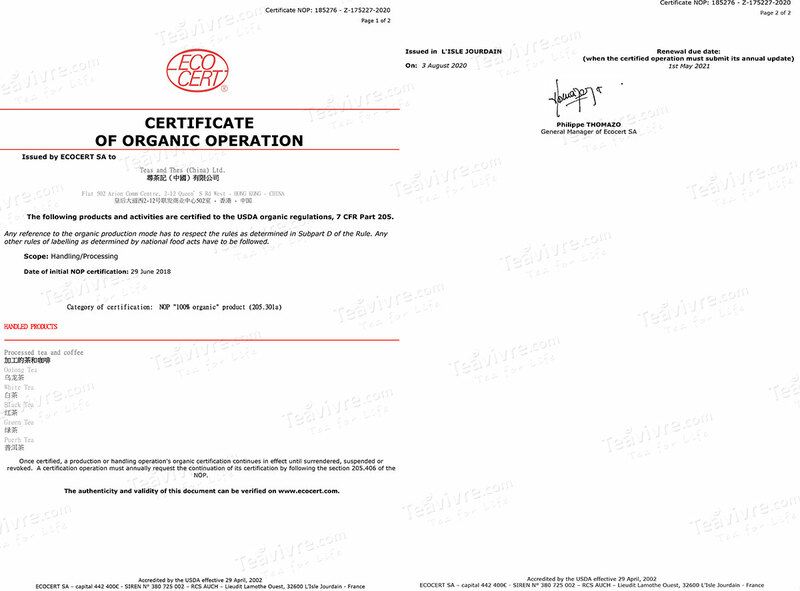 Because of this, his first priority is to strictly control product quality so he can ensure its reputation. 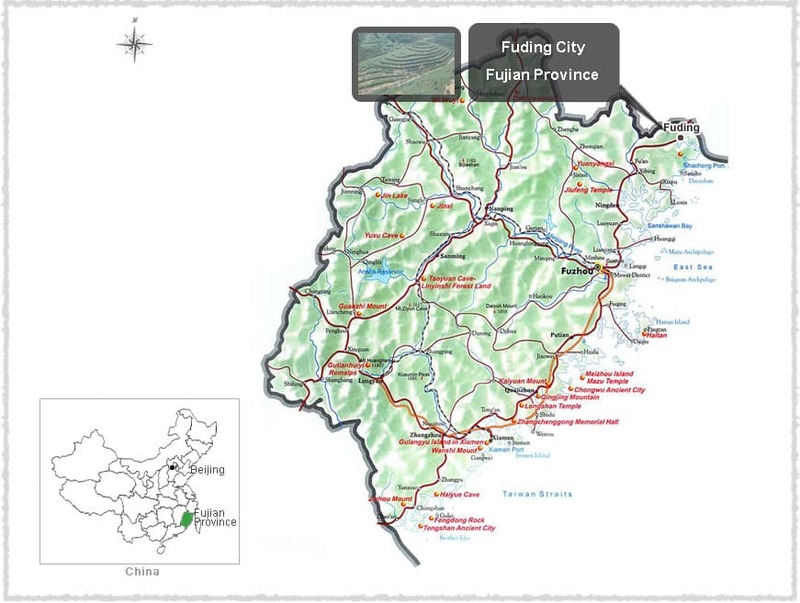 Mr. Lin, together with his tea factory, will continue to provide high-quality tea and also to regularly increase the number of facilities which will provide healthy and natural products. Gunpowder green tea has been popular in China since the Tang Dynasty (618-907 AD). It is one of China’s earliest export goods. In the Western world, green tea is just now taking on the popularity that it has in Asian countries, with more people in North America learning about varieties and the manufacturing process of green teas. Gunpowder green tea originated in Pingshui Town, Shaoxing City, in the Zhejiang Province of China. 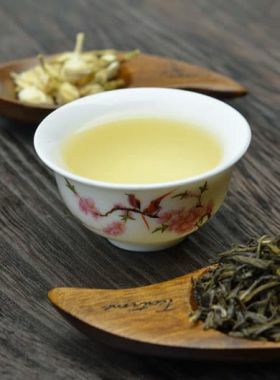 However, over the years the production of Gunpowder green tea has expanded to the Fujian Province, the Guangdong Province, the Anhui Province and the Hunan Province of China, where very high quality Gunpowder green tea can be grown and produced. At the time of Emperor Kang Xi (1661-1722 AD) of the Qing Dynasty, it became an Imperial Tribute tea. According to historical records, the export of Gunpowder tea reached a peak between 1843 and 1894, but is regaining popularity in modern times with the introduction of the digital age and the occurrence of the internet. At TeaVivre, we hold our standards of production to those which have been used for thousands of years to bring you the best Gunpowder green tea available!